A name we live up to. 700 - 1499 Sq. Ft.
An intimate design for those who want to spend more time enjoying their weekend retreat. 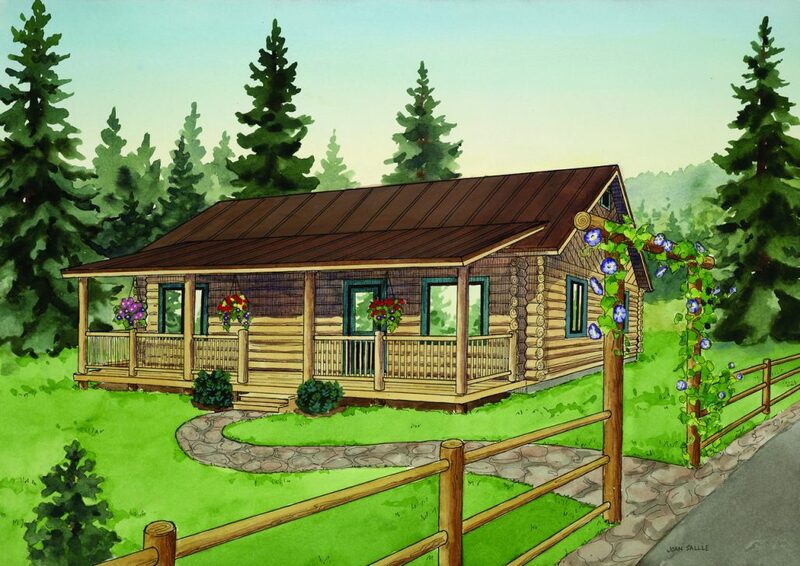 This plan provides pure log home enjoyment for all the family. The covered porch is a great place to enjoy time together and take in the beauty of the outdoors. 700 – 1499 Sq. Ft.
1500 – 2499 Sq. Ft.